Show-Me Sound Organization. Photo provided. For Show-Me Sound Organization (an A&E grantee), percussion is about more than making noise on a drum. 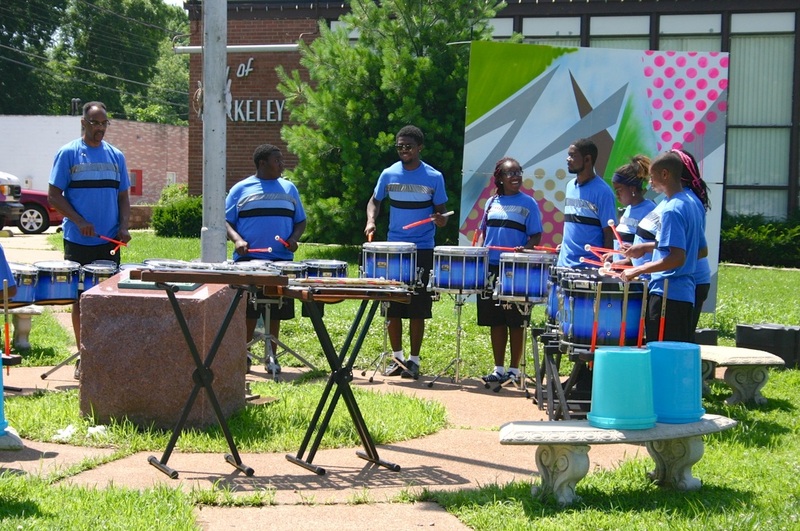 Each year, middle and high school students in the Normandy Schools Collaborative learn discipline, focus and dedication in the organization’s ‘Beating’ Challenges program, which teaches rudimental, orchestral, jazz and world percussion techniques. “The power of the drum has historically provided a resonant call to order, even out of chaos. A lot has gone on in the lives of these young scholars, but we are ‘Beating’ Challenges, and a percussive call to order is a magnificent device in that goal,” explained Terry Artis, Show-Me Sound’s founder and executive director. ‘Beating’ Challenges’s popularity has grown, doubling the number of participants in the last year. Over the summer, students audition for one of 30 spots. Auditions are open to all students, but they must maintain at least a C average and have a 95% in-school attendance record to be eligible for the after-school program. These raised stakes stimulate greater overall performance by students. The program also enhances learning in the academic areas of science, technology, engineering and mathematics (STEM). 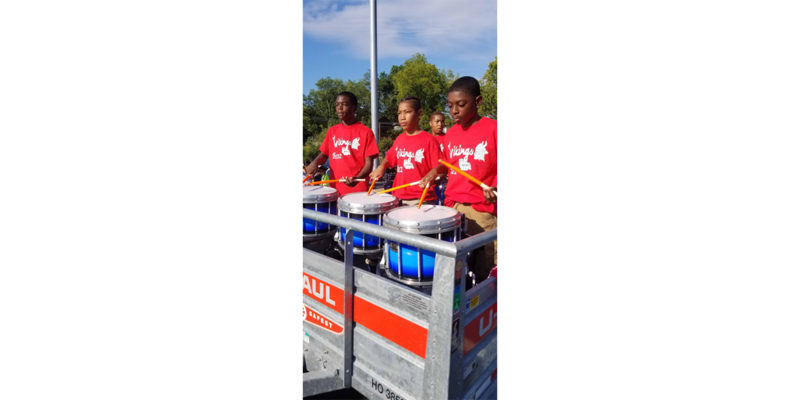 Performances by the ‘Beating’ Challenges ensemble are in high demand across the district as they serve as an excellent model to other students. The ensemble was quickly accepted as an important cultural asset within their school and community. Their next public performance is at the Annie Malone Parade in the Ville neighborhood this May. ‘Beating’ Challenges is funded by a PNC Program Grant from the Arts and Education Council. Applications for 2019 grants, underwritten by the PNC Foundation, open February 8.